Monday – Friday: 3 p.m.-8 p.m.
*Schedule may change due to weather conditions, track conditions, and/or special events. Wheels Skate & BMX Park is an annex of the Golden Gate Community Center, located in the heart of Golden Gate Community Center, on Golden Gate Parkway, 2.2 miles east of Exit 105 off I-75, or 1.2 miles east of Santa Barbara Blvd. a National Bicycle League (USA) sanctioned BMX track. Wheels Skate and BMX Park showcases dozens of competitions throughout the year for both children and adults. The skate park offers a dynamic flow to skaters of all ages. Skate clinics are offered during the school calendar year, and skate camps during the summer break. Wheels Skate Park also provides skaters the opportunity for social interaction during the late skate socials and a place to demonstrate their skills during skate competitions. Wheels Skate & BMX Park is home to Naples BMX which offers a unique opportunity for Bicycle Motocross enthusiasts of all ages to learn, practice and improve their BMX racing skills. The BMX track also offers clinics and camps for all interested riders in this new Olympic sport. Wheels Park features NBL Friday Nights BMX races during the State and Summer Series season to all NBL riders who are competing at local, state, regional, and national levels. This BMX program provides the entire family the opportunity to enjoy a great evening of racing action, fun, and even volunteer their time in preparation and officiating during local races. 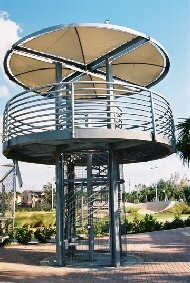 For more information about Naples BMX you can visit their website at naplesbmx.com.